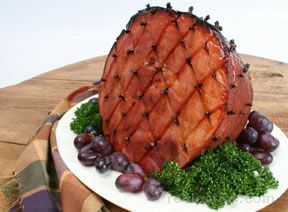 A simple glaze of brown sugar, honey and orange juice brushed over spiral sliced ham. 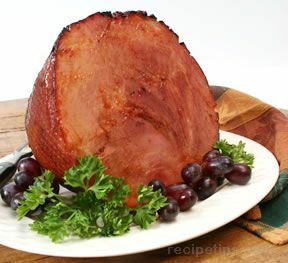 Remove and discard glaze packet from ham or reserve for another use. 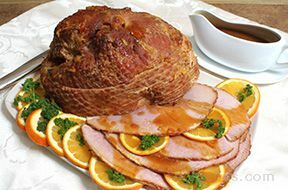 Prepare and bake ham according to package directions, uncovering and brushing occasionally with the Orange-Honey Glaze for the last 30 minutes of the baking time.